The ‘herd mentality’ in investing leads to subpar results. Buying an ugly house, in the right area, can be a fantastic investing opportunity, but don’t overpay for your rehab, or your profits will evaporate. No one wants these deals, so I get a fantastic price, and most of the fixes and rehab are easy and inexpensive for my wholesale-priced construction company to complete. I can have a positive cash flow deal in 90-120 days. 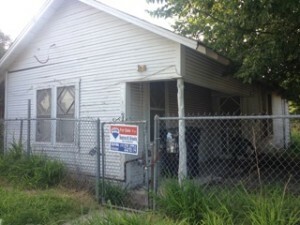 This distressed property sale home is only $24,000, and it’s a located in 78207, where the city of San Antonio has poured tens of millions of dollars into revitalization: parks, running and walking trails, picnic areas, shopping plazas, green space and more. It’s only about two miles from downtown. It’s currently ugly and just sat there. 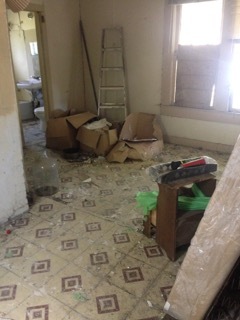 I snatched up this distressed property sale. Next door and across the street are owner-occupied houses worth $80,000 to$100,000. 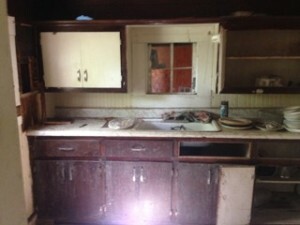 When this ‘junk house’ is fixed up and resold, it will quickly gain in value. Conventional thinking cannot see beyond the surface ugliness in the property investment, but by engaging my brain, I see the obvious: Because of the neighborhood and the revitalizing nearby, this deal is a fantastic investor opportunity.